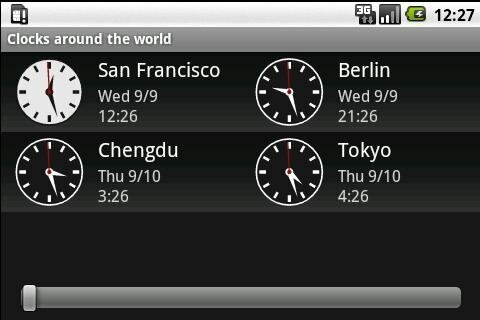 Easy to use, beautiful world time clock application. Incl. db of ~21000 cities with historic and translated names for large cities. 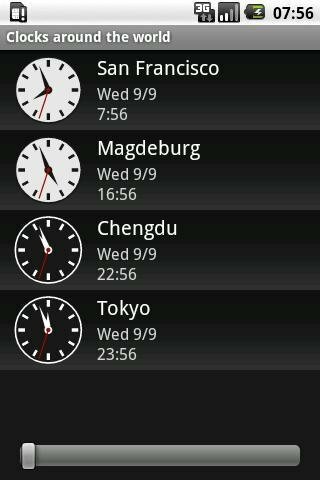 Shows analog and digital time and date in the particular time zone. Innovative "time sliders" ease finding good calling times. New: timetable copy and timezone search (UTC, ...), Froyo SD stor.